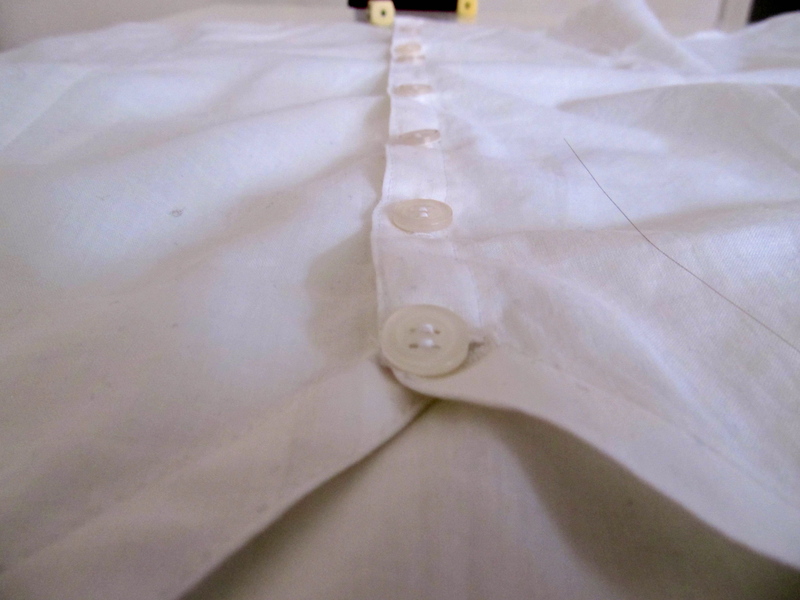 After my first try at button holes, I decided, with confidence, that I was not a natural button-hole sewer. Some of us just aren’t born with it. I listened to myself and now I have my latest piece; a loose-fitting, deep v neck blouse without a collar. 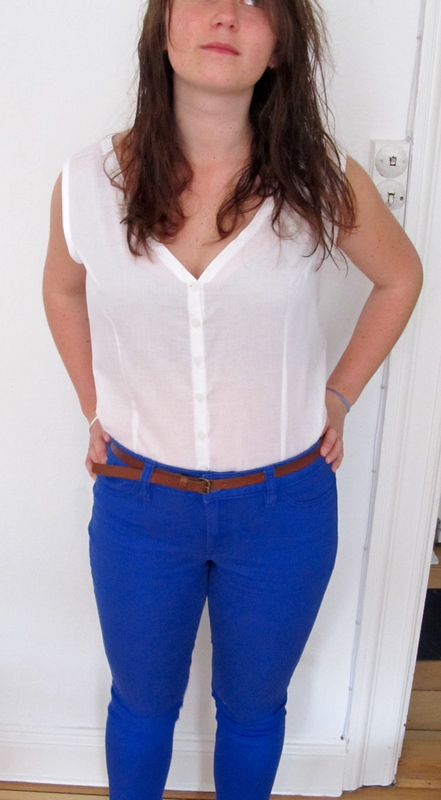 Worn below with my cool new blue jeans from my lovely mother! The best thing about it is that it is loose-fitting on ALL parts of my torso, bust, waist and hips. This is not something I have ever been able to find in a shirt. I either sacrifice my shoulders so that they end up looking like a rugby players, or I have buttons popping open left, right and centre (mostly centre, though). For this shirt, it worked out fine. Since it was loose, the fitting wasn’t such a big issue, but if I wanted a more fitted top, I would have to do a bit more work to get it to fit well. I added a button placket to the front and used some bias binding for the sleeves and back of the collar. The bias binding I used is a bit stiff for the material at the moment, but I’m hoping once it’s washed that it will become a bit more flexible. I used seven buttons for the front so I got oodles of practice in. And the button holes looked tidy! Look! Top stitching as well! I knew you would be proud. Now, I have at least made two things that fit in to my Spring/Summer Palette so I don’t feel so completely behind. Just have to find some inspiration to get me excited about the next piece. 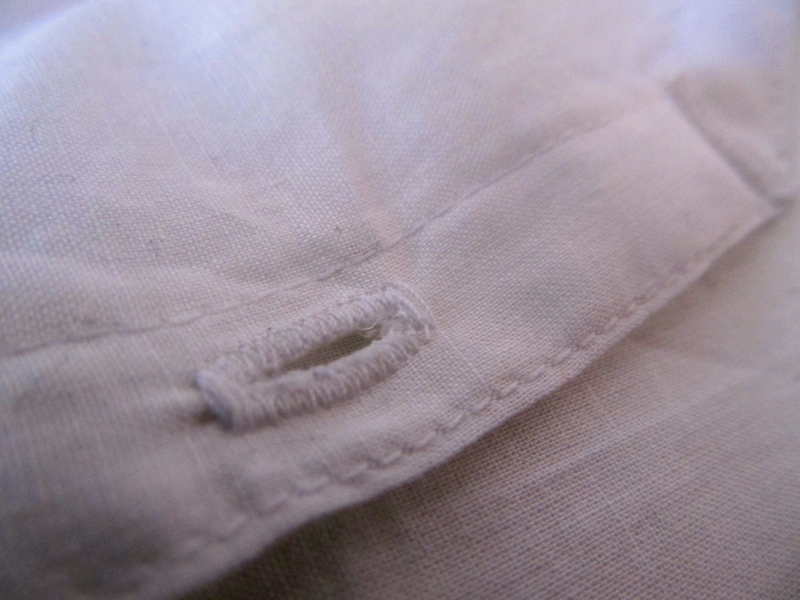 You are currently reading Button Hole-y Goodness at A La Amelia.